Our mission is to bring peace in the spirit of St. Francis of Assisi. 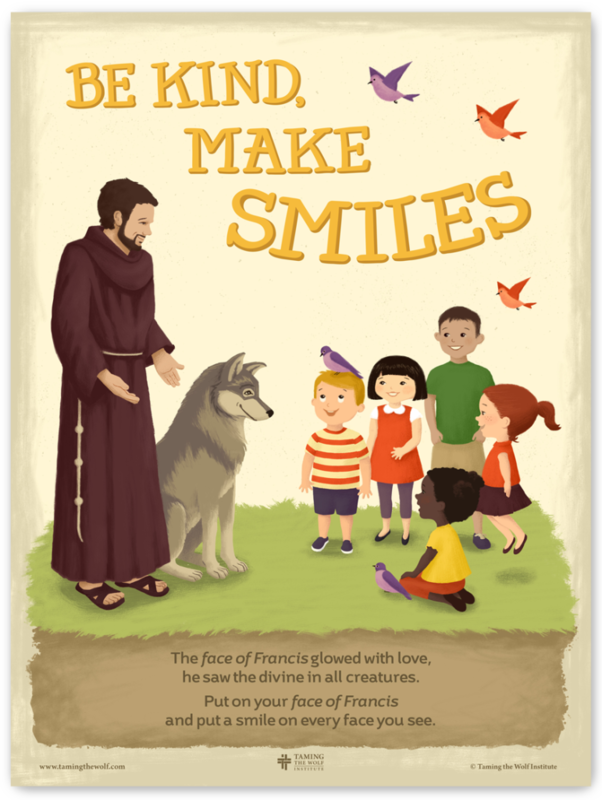 To learn more about the origin of our peacemaking effort, read the legend of St. Francis and the Wolf. pastoral counseling, and spiritual direction. 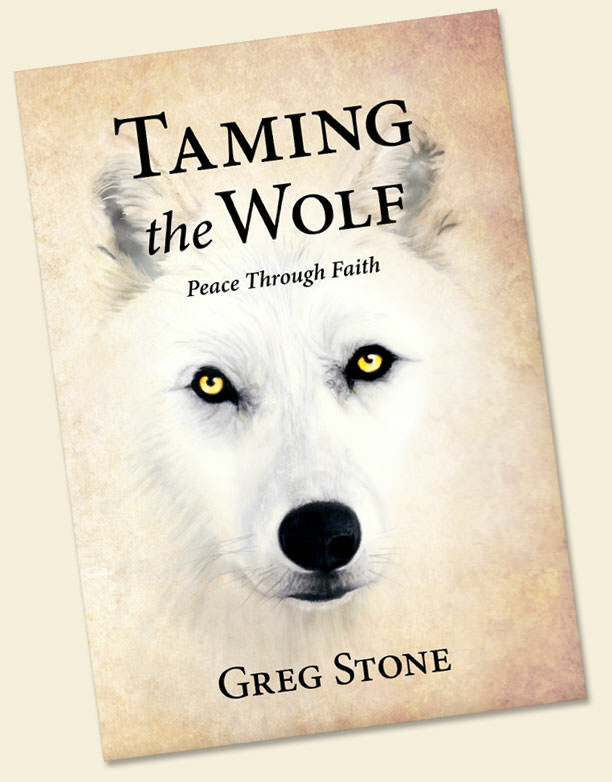 Taming the Wolf: Peace through Faith helps readers learn basic faith-based conflict resolution skills with practical lessons that address difficult situations. Unresolved conflict can result in ruin. Taming the Wolf guides the reader through the transformation needed to avoid unwanted consequences and achieve reconciliation. The legacy of Saint Francis of Assisi was the inspiration for this series of forty training videos. Watch one short video each day for forty days, and reflect on how you will become an instrument of peace in a troubled world. Our children need our help. At school and on the internet, kids face unprecedented bullying. It’s time we stepped in to protect the weakest among us. We have enough bullies. We need peacemakers. Taming the Wolf Institute presentations provide participants with valuable insights and tools they can apply to increase the peace and joy they experience. Greg Stone has presented this valuable information on conflict resolution and spirituality at parishes, schools, seminaries, clubs, religious associations and other venues. Taming the Wolf Institute offers mediation designed to resolve a wide range of disputes. We consult with parishes, schools, and other organizations that seek effective conflict prevention protocols. We assist families seeking to improve their communication and their faith life. We are available to train your staff in conflict management with a faith-based approach.